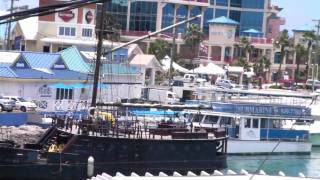 N 19° 17' 11" and W -81° 22' 27"
George Town in George Town with it's 29,370 inhabitants is a city in Cayman Islands. It's the capital of this country. Local time in George Town is now 04:31 PM (Sunday). The local timezone is named America / Cayman with an UTC offset of -5 hours. We know of 7 airports in the vicinity of George Town, of which one is a larger airport. The closest airport in Cayman Islands is Owen Roberts International Airport in a distance of 1 mi (or 2 km), East. Besides the airports, there are other travel options available (check left side). Depending on your travel schedule, you might want to pay a visit to some of the following locations: West Bay, Bodden Town, North Side, East End and Little Cayman. To further explore this place, just scroll down and browse the available info. Let's start with some photos from the area. 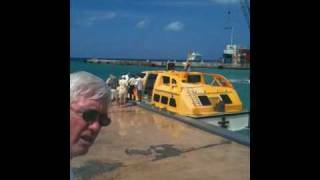 Boat tenders in George Town Cayman Island in big waves. Semi Sub Shore Excursion Georgetown, Grand Cayman, Cayman Islands. I placed my phone next to the glass and recorded virtually the whole tour, lots of coral and shipwreck footage, and some cool fish. 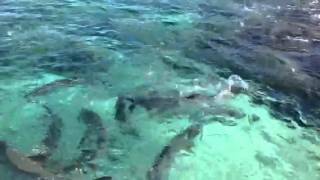 Tarpon fish are fed from the shores of George Town in Grand Cayman, Cayman Islands. We stopped at Breezes By The Bay -Tropical Grill and Rhum Deck in George Town just in time to miss a downpour. If you're ever in George Town you HAVE to stop at Breezes By The Bay! 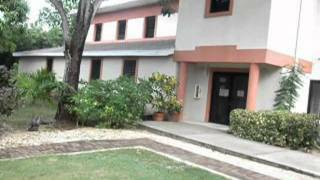 UCCI, University College of Cayman Island, George Town, Grand Cayman. Located at 19.3333, -81.4 (Lat. / Lng. ), about 4 miles away. Hell is a group of short, black, limestone formations located in Grand Cayman, Cayman Islands. Located in West Bay, it is roughly the size of half a soccer field. People are not allowed to be amongst the limestone formations but viewing platforms do exist for visitors. Located at 19.3794, -81.4068 (Lat. / Lng. ), about 7 miles away. Truman Bodden Sports Complex is a multi-use complex in George Town, Cayman Islands. It is named after Truman Bodden. The complex is separated into an outdoor, 6 lane 25 metre swimming pool, full purpose track and field and basketball/netball courts. The field surrounded by the track is used for football matches as well as other field sports. The track stadium holds 3,000 people comfortably. Located at 19.3, -81.3833 (Lat. / Lng. ), about 1 miles away. Located at 19.3397, -81.3789 (Lat. / Lng. ), about 4 miles away. Located at 19.3757, -81.3048 (Lat. / Lng. ), about 8 miles away. X107.1 is an International Top 40 radio station in the Cayman Islands in the British West Indies. The station is owned by dms Broadcasting, an affiliate of dms Organization. The station maintains studio operations in George Town, Grand Cayman. The broadcast is also simultaneously streamed live on the internet via the station's website. The Old Savannah School House is a historic one-room schoolhouse in Grand Cayman, Cayman Islands. 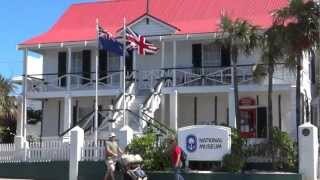 Initially opened in 1940, it is operated nowadays as a museum by the National Trust for the Cayman Islands. Located at 19.2722, -81.3 (Lat. / Lng. ), about 5 miles away. The Watler Cemetery is a historic cemetery located in Prospect, Grand Cayman. It was donated to the National Trust for the Cayman Islands by the Watler family in 1991. Although the graves in the cemetery date from the beginning of the 19th century, it is possible that the site was in use even before that, as Watlers have lived in the Cayman Islands since the 17th century. It is thought that the name is a corruption of "Walters". Located at 19.274, -81.335 (Lat. / Lng. ), about 3 miles away. Pedro St. James Castle, Pedro St. James, or Pedro's Castle is the oldest existing structure in the Cayman Islands. Located on the southern coast of Grand Cayman Island, the manor house was constructed in 1780 as the home of plantation owner William Eden. 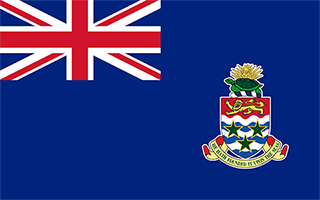 In 1831, it served as a rendezvous point for the first elected parliament in the Cayman Islands; the location has since been known as the birthplace of democracy in the Caymans. Located at 19.2671, -81.2918 (Lat. / Lng. ), about 6 miles away. 96.5 CayRock is an international rock radio station in the Cayman Islands in the British West Indies. The station is owned by dms Broadcasting, an affiliate of dms Organization. CayRock broadcasts twenty-four hours a day, seven days a week, year-round to a diverse community of over 50 nationalities. The station maintains studio operations in George Town, Grand Cayman. The broadcast is also simultaneously streamed live on the internet via the station's website. 106.1 Kiss FM is an adult contemporary music formatted radio station in the Cayman Islands in the British West Indies. The station is owned by dms Broadcasting, an affiliate of dms Organization. The station maintains studio operations in George Town, Grand Cayman. The broadcast is also simultaneously streamed live on the internet via the station's website. Gospel 88.7 is a radio station in the Cayman Islands in the British West Indies. The station is owned by Christian Communications Association. The station's license was issued on 20 January 2005, but broadcasting began continuously on 8 August 2005. 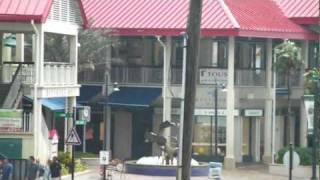 Rooster 101 is a radio station in the Cayman Islands in the British West Indies. The station is owned by Hurley's Entertainment Corporation. It airs a country music format. Hurley's Entertainment Corporation Limited was founded in 1992 by Randy L. Merren. It began broadcasting as ZFKY, issued under the British call sign system. The station's current license was issued on 11 December 2003. Vibe FM is a radio station in the UK as well as the Cayman Islands in the British West Indies. The station is owned by Paramount Media Services and airs an Urban Caribbean music format featuring reggae and pop music as well as specialty programs featuring jazz celeb news, pop music and Gospel music. Showbiz Journalist Mark Boardman regularly talks entertainment news on the show which goes out nationwide. The station's most recent license was issued on 11 December 2003. Spin FM is a radio station in the Cayman Islands in the British West Indies. The station is owned by Paramount Media Services. It airs a dance music format. The station often features disc jockeys that also entertain in Cayman Islands nightclubs. The station's license was issued on 15 December 2004. Ocean FM is a defunct radio station in the Cayman Islands in the British West Indies. The station was owned by Cerentis Broadcasting Systems. It aired a classic hits music format. The station's last license was issued on 11 December, 2003. Ocean FM went off the air in late 2006 and was put up for sale but technical and financial issues made such a sale untenable and the government revoked the license on 16 August, 2007. Praise 87.9 is a radio station in the Cayman Islands in the British West Indies. The station is owned by the Cayman Islands Conference of Seventh-Day Adventist. It airs a Christian radio format. The station was founded by evangelist Everton Malcolm, a lay member of Newlands Adventist Church. The station's license was issued on 15 June 2006 and amended on 6 March 2008. ICCI-FM is a non-commercial radio station in the Cayman Islands in the British West Indies. The station is owned by the International College of the Cayman Islands and broadcasts from Newlands on Grand Cayman. It airs a college radio format blending music and news. ICCI-FM serves as a training workshop for broadcasting students of the college. Talk programming includes locally produced shows recorded in both English and Spanish. Located at 19.2833, -81.3 (Lat. / Lng. ), about 5 miles away. Fort George is a colonial era fortification located on Grand Cayman, Cayman Islands. Located in George Town, Grand Cayman, the structure stands on the corner of Harbour Drive and Fort Street. Although in present day there is very little remaining of the original structure, its remains have been donated to the National Trust for the Cayman Islands in perpetuity. Fort George was one of the first fortifications built on the Cayman Islands during the early colonial period. Located at 19.2967, -81.3828 (Lat. / Lng. ), about 1 miles away. Located at 19.2792, -81.3838 (Lat. / Lng. ), about 1 miles away. Cayman Turtle Farm is a conservation facility and tourist attraction located in the West Bay district of the Cayman Islands. 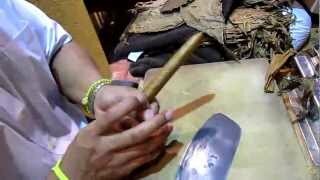 It is used for raising the endangered Green Sea Turtle. Established in 1968 by a group of American and British investors as "Mariculture Limited", the farm was initially a facility used to raise the Green Sea Turtle for commercial purposes. Located at 19.3751, -81.4189 (Lat. / Lng. ), about 7 miles away. The T.E. Mcfield Sports Centre is a multi-use sports stadium in George Town, Cayman Islands. In 2011 and 2012, the stadium hosted a group in the CFU Club Championship. Located at 19.2987, -81.3767 (Lat. / Lng. ), about 1 miles away. These districts belong to George Town. These are some bigger and more relevant cities in the wider vivinity of George Town. 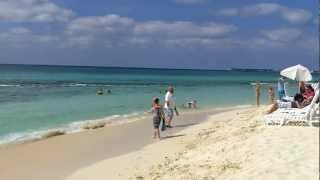 These are the most popular locations in Cayman Islands on Tripmondo.